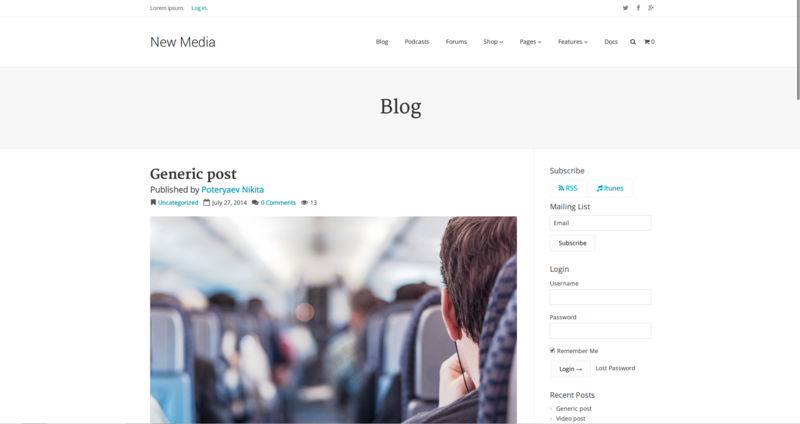 New media – is a Multi-purpose WordPress theme. 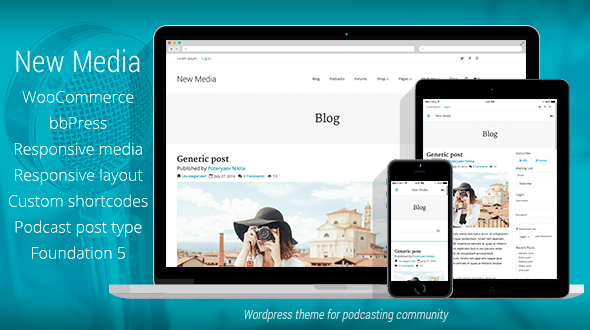 We built this theme for people who love podcasting and want to start their own. Of course you may use this theme as well as shop or forum to build your own community and brand. Our theme can help you to spread your ideas throughout the world. Recent update: 3 new color schemes. 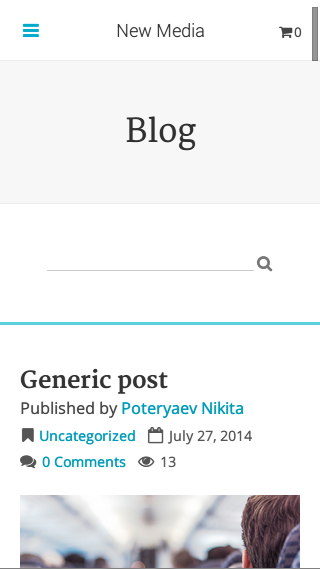 Added page transitions. 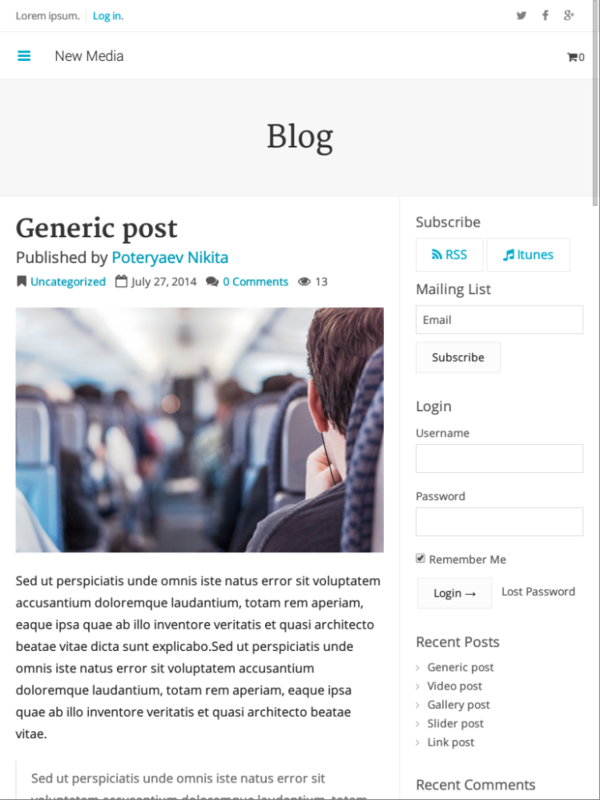 What version of WordPress I should use? Where I can find documentation for the theme? What exactly is a responsive media? Is BuddyPress support coming any time soon? Copy theme to the \'themes\' folder. In admin menu go to Appearance->Themes and activate New Media theme. After that go to Appearance->Install Plugins and install Redux Framework and optional supported plug-ins if you want. It means that when you insert an image you will have a size option called \'responsive\' and when you post that image, theme will decide what image size deliver to user. It has huge impact on mobile and tablet users who constantly concerned with their traffic. Moreover it will speed up your site on mobile devices since users will not download full resolution images. And galleries also responsive by default. Not in the near future. We thought bbPress would be sufficient. But if too many customers will want this feature we will integrate BuddyPress support.